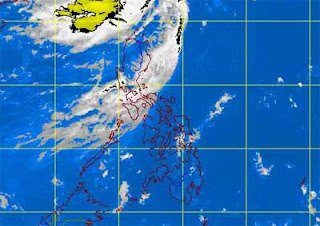 The 12 O'clock weather update of PAGASA is now available at GoodFilipino.com. This Saturday afternoon of August 31, 2013, PAGASA estimated the LPA (low-pressure area) at East of extreme Northern Luzon. Based on PAGASA data sattelite, the Low pressure area (LPA) was estimated at 980 km East of extreme Northern Luzon, while the Southwest Monsoon (Habagat) affecting Northern Luzon. The good news is, there's no tropical cyclone existing in the Philippine Area of Responsibility. But be reminded that this Low pressure area (LPA) coming closer to PAR may be possible to become storm. Metro Manila and the rest of the areas in the country will have "partly cloudy to cloudy with isolated rainshowers or thunderstorms." Thank you for reading this post, If you like this details, please bookmark it now or visit this site more often for you to be updated. You may also share this post to your friends so they may know about PAGASA 12 O'clock Update as of August 31, 2013. Comments or suggestions about "PAGASA 12 O'clock Update as of August 31, 2013, Saturday Afternoon" is important to us, you may share it by using the comment box below.